This is a three piece Del-Monte Food Products porcelain sign. 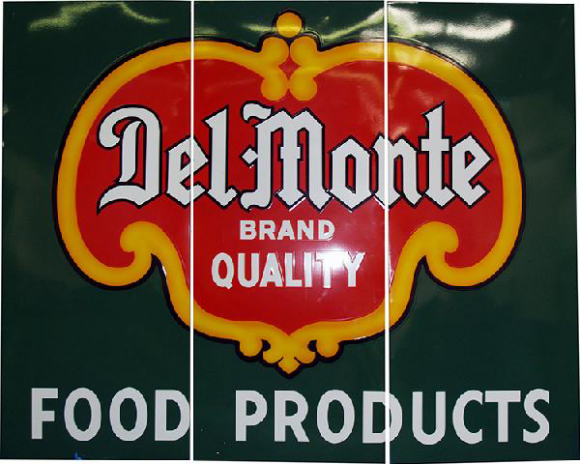 This particular Del Monte Food Products sign features the red and orange Del-Monte emblem against a green background. It reads, “Del-Monte Brand Quality Food Products”.